Are you planning a magical getaway to the Maldives? While these idyllic islands are home to some of the most beautiful resorts in the world, planning your trip away can be a tricky task indeed. 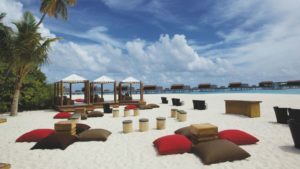 Not only will you have to choose from one of the 110+ Maldives resorts speckled across the palm-fringed atolls, but you will also have to make sure that you choose the right type of board for your needs. One of the most popular board types offered at Maldives hotels (and for good reason) is the all-inclusive package. All-inclusive Maldives vacations basically mean that you can leave your wallet in your villa, and dine and drink without having to worry about how much it’s going to cost you. When you take into consideration the high import and service charge fees in the Maldives, it’s easy to see why so many holidaymakers choose to opt for an all-in package. Saying this, full-board packages are also becoming increasingly popular and they offer up a more economical option for those on a budget. 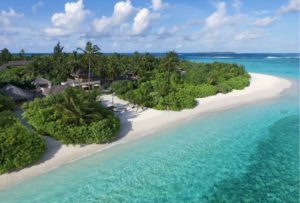 They can also be a good choice if you’re thinking about staying on one of the larger islands rather than a Maldives resort, as it gives you more freedom to dine-out and sample the local cuisine. Read on to find out exactly what’s included in an all-inclusive and full-board stay. What Does a Maldives All Inclusive Holiday Include? All-inclusive means that almost everything you would normally pay for on your holiday is included in your stay. This means breakfast, lunch, dinner, snacks, drinks, and quite often some excursions and special activities. Breakfast will typically consist of a generous buffet filled with things like fresh and exotic fruits, bread, an egg station, yogurt, cereal, and European and international breakfast dishes. 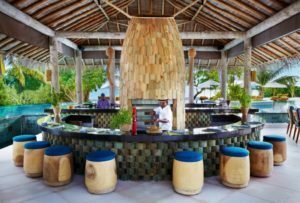 The larger 4* and 5* resorts offer some of the best breakfast buffets in the world, and you will never have to worry about going hungry or having limited options. Some resorts will even offer a special option where you can enjoy your breakfast in bed, although this may come at an extra fee. Lunches and dinners will vary depending on the size of the Maldives resorts and restaurants. Some will again be buffet while others will offer a la carte options. Many places like to offer themed nights, where different cuisines will be served on different days of the week so that you are always given new dishes and flavors to try on your Maldives holiday. What sets all-inclusive apart from the full board option, is that you will have your snacks included too, so you will never feel peckish between meals. Some resorts will have ice cream parlors, poolside sandwich bars or even a wood-fired pizza oven where you can enjoy a slice of your favorite pizza between meals. Some resorts will also offer a fully-stocked mini bar in the room, so that you can eat and drink what you like free of charge. We love Centura Grand and their generous all-in package – click here for more details and to see the latest rates. Another thing that sets it apart is the special extras that are often included. 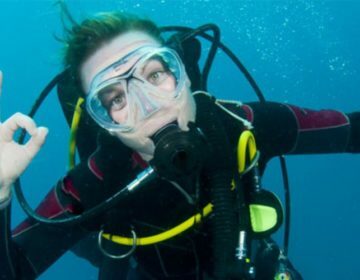 This can be things like free yoga classes, tennis classes, art classes, and even watersport hire. Some resorts will throw in things such as free massages or discount vouchers for the spa, special excursion or a romantic private dinner for two. Keep an eye out for special offers by signing up to resort newsletters and by following them on social media. What Does a Full Board Holiday Include? Full board means that you will receive your breakfast, lunch, and dinner at the resorts, but any snacks, soft drinks, and alcoholic beverages will cost you extra. Saying this, most Maldives resorts will offer tea and coffee throughout the day, as well as water, and perhaps juices or smoothies for breakfast. But you will be required to pay for anything outside of this, particularly alcoholic drinks. Because the Maldives is an Islamic population, alcohol is banned on the local islands. All alcohol has to be imported, which pushes the prices up. So just be aware of this if you do like a drink and are thinking of going for a full board option. It’s also worth noting that it’s illegal to bring any form of alcohol into the Maldives, and they do place all of your luggage through a scanner when you first land there, so be sure to leave the tipple at home. What’s Not Included in Full Board or All-Inclusive Maldives Vacations? This will vary from resort to resort, so make sure that you check the fine print for where you are thinking of booking. In most instances, the packages will not include your transfers to the resort itself, so this will be your seaplane or boat transfer. 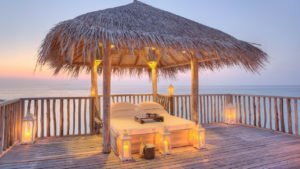 They will not include special tips, and while some include a service charge in the package price, it can be nice to leave some extra tips for staff who have gone above and being to make your Maldives vacation a memorable one. Of course, any extras from the souvenir shop or Maldives resort store will cost extra too. Be prepared for inflated prices here as well, as items can cost two to three times more than they do back home. What’s Better for You: All Inclusive or Full Board? That is a good question! All-inclusive is the best option if you really don’t want to think twice about what you’re spending, and after all, who wants to keep an eye on the pennies on vacation? With all-in you really are free to indulge and to sample new things without having to worry about the price of things. The freebies and extras included making it excellent value for money. It’s also a great option if you’re traveling with kids, as with full board you may be required to pay for snacks which can really add up over the course of a week or two. Full board option is good if you’re looking to spend a little less than an all-inclusive package. It’s particularly economical for those who don’t drink (or drink much). 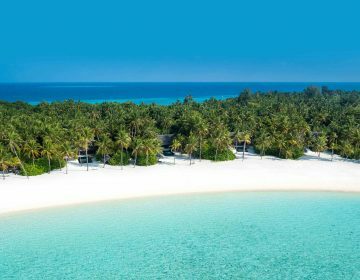 If you want more Maldives information, check out our helpful guide on everything you need to know before you go. If you’re traveling with the whole family in tow, then the Jumeirah Vittaveli is an excellent choice. This impressive mega resort is just a short catamaran ride away from Male international Airport, making it an economical option if you’re heading to the Maldives with your family. With a five-star spa, a PADI dive center, over the water gym, and multiple top-notch restaurants serving up varied cuisine and unforgettable dining experiences, this resort has plenty to keep adults entertained for long stays. The Jumeirah Vittaveli goes above and beyond to cater to big kids too. They have one of the largest kid’s clubs in the country, and offer T-shirt painting, a playground, a board-game-filled games room, and even a treasure trail which will help to get your little ones learning about local flora and fauna on the island. Babysitters are on hand to take care of your children, so you can have a romantic meal for two when you want a little peace and quiet. It’s the perfect choice for those looking for a great value getaway that will keep both adults and kids entertained. Click here to book your stay at the Jumeriah Vittaveli. Check out this article for our favorite Maldives five-star resorts. Half-board simply means that you will have breakfast and dinner included in your stay, but you will have to purchase your own snacks, drinks, and excursions. This is where you will just receive your breakfast but no other meals or drinks. Bed and breakfast are pretty much non-existent on the island resorts, however, they are becoming more popular on local islands as they are being offered by locally-run guesthouses. Self-catering is where you will have a kitchen and fridge as well as utensils in your rental apartment so that you can choose to prep some of the meals yourself. Again, this is not an option in most of the resorts, but will often be available if you choose to rent an Airbnb on one of the local islands. Self-catering can prove to be one of the most economical options.. If you choose to stay at a self-catering accommodation near to a local supermarket, you can pick up fresh exotic fruits, fresh vegetables and kitchen staples to stock up your fridge. Local eateries will also provide an affordable spot to try some delicious curries, soups, and fish dishes without breaking the bank. Room only is just as it sounds – you will receive your room only and nothing else. This is also found on some of the local island guesthouses as well as in some of the ultra-luxurious mega resorts. While room-only is affordable on the local islands, on the resort islands you will need to have a rather large budget to accommodate for all your breakfasts, lunches, dinners, snacks, drinks and, excursions. 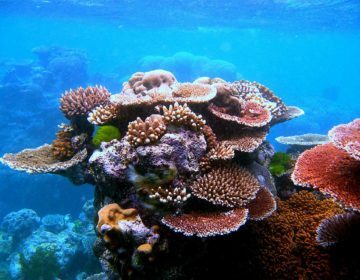 If you are staying on the island of Hulhule then we can recommend the Hulhule Island Hotel – click here to check out photos and book your stay. Once you arrive you’ll want to follow a few tips to get the most out of your vacation away. You can do this by making sure that you have a full tour of the resort and all of the facilities that are on offer, and everywhere that you can dine. Double check all of the restaurant opening times, and where snacks, drinks, and meals are served. Ask for the full class and activity schedule when you arrive, as some classes will require you to book a slot in advance. Also, make sure you get all of your vouchers or special deals if they are included. If you want to find the best deals around then you can follow these simple tricks to save some extra cash. Planning a trip in the off-season is wise if you want to cut costs on your Maldives resort and don’t mind a bit of drizzle. If you can be flexible with your dates, then you also stand a great chance of scoring some incredible deals. Use Skyscanner to search for flight deals over a whole month or even a whole year. You can also use Airmiles or Topcashback sites to save more money on your Maldives trip. Hopefully, you’re a little clearer with what the different packages include, and perhaps what one you want to book for your Maldives holiday. For peace of mind and the ultimate in indulgence, opt for the all-in package, or if you want to save a little cash, then go for the full board option. No matter what Maldives resort you choose, your holiday to the Maldives is sure to be one amazing getaway that you’ll remember for years to come.